Sachin Tendulkar and eminent scientist Prof. C.N.R. Rao were presented with the Bharat Ratna, India’s highest civilian award, at a brief function at Rashtrapati Bhavan’s Durbar Hall attended by Vice President Hamid Ansari, Union ministers, Tendulkar’s wife Anjali, daughter Sara and a host of dignitaries. “I will continue to bat for India even though my cricket has stopped, but I will continue to try my best to give the people of India a reason to smile,” Sachin Tendulkar told reporters after being conferred the award by the President of India. Tendulkar, who retired from international cricket in November last year, is the first sportsman (and, at 40, the youngest) to be bestowed with this honour. “I would like to reiterate what I said a couple of months ago that this award I would like to dedicate to my mother and along with her all the mothers in India who sacrifice their wishes, aspirations for their children so that their dreams come true,” he said. He also congratulated Prof. Rao for motivating youngsters to become scientists. Interestingly, and to some controversially, the wording of the award had been amended. 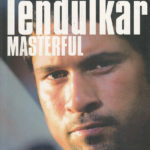 By broadening the criteria to include “any field of human endeavour”, cynics argued that the policy was altered specifically to accommodate India’s greatest cricketer. Under the previous policy, he could not be awarded the Bharat Ratna. But others have welcomed the change. And in view of his achievements and the joy and pride he has brought to the Indian people, who would deny him this honour? 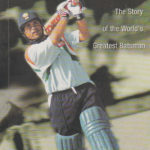 Please visit our sport section for books on Sachin Tendulkar. Anand Kumria will be representing Shalimar Books at the London Book Fair from 15th to 17th April. Anand can be contacted on the NCBA stand – N465 – where you will find the latest titles from Yoda Press, New Central Book Agency (NCBA), and other leading Indian publishers. Also present at the book fair will be Melanie Swan, a freelance publishers’ representative who can be contacted at melswanbooks@gmail.com or through stand N465 at the fair. 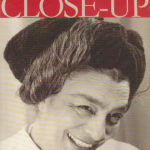 Melanie handles representation to the trade and institutions of the books distributed in the UK by Shalimar. Through our network of suppliers in India, Shalimar can supply any Indian book in print, and Anand and Melanie will be happy to discuss any requirements you may have in this area. We look forward to meeting you.